COURSE DESCRIPTION: Who makes more money than most authors (probably put together)? The Ghostwriter. Ghostwriting is a profitable writing business that lets you help others fulfill their dreams and goals. In fact, a number of books that reach best-seller status and that are in libraries have been ghostwritten. And, unlike publishing your own books, being a ghostwriter, you’re guaranteed to be paid for your efforts. So, what exactly is a ghostwriter? Well, a ghostwriter is a writer-for-hire who may help someone write a book; write an article; write a speech; write a video script; write a TV / movie script; and so on. Any content that is written may be written by a ghostwriter. In this 4-week class, you’ll learn everything you need to know about becoming a working ghostwriter, whether it’s to be part of your freelance resume or it’s to be the focus of your writing career. And, I will be available for questions and guidance every day during those five weeks. Assignment: Students will choose one or two niches they’d like to work in. They will create a brief marketing plan that will show how they’ll find and market their work. Writing on spec – should you or shouldn’t you? Assignment: Students will create a writing process and list the strategies they’ll use to harness their client’s voice. They will also make a list of additional services they’ll offer their clients, if any. Do you need a freelance agreement? Do you need a nondisclosure agreement? Dollar amount – what are you worth? Assignment: Students will create a freelance writing and nondisclosure agreement. They will decide on their hourly and project rates. Assignment: Students will decide on safety measures they will put in place. Materials needed: Computer with internet access, Microsoft Word (or other Word program that’s compatible), and an email address. 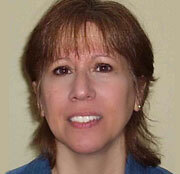 ABOUT THE INSTRUCTOR: Karen Cioffi is a multi-award winning author, freelance writer, editor, and ghostwriter. She’s ghostwritten 500+ articles for health and business sites, short business books, memoirs, and medical articles for journals as well as academic essays. Her specialty though is ghostwriting children’s books from picture books through middle-grade. She’s ghosted 80+ books and helped many individuals become children’s authors. One of her clients received partnership interest from MADD, another received multiple requests for her manuscript from both agents and publishers. You can check out some of her testimonials at: http://karencioffiwritingforchildren.com/testimonials/ and http://karencioffifreelancewriter.com/testimonials/. Besides ghosting, Karen is the founder and editor-in-chief of Writers on the Move (a marketing group for authors and writers). She also presents online writing and marketing workshops and webinars. COST: $120, which includes weekly assignments, individual feedback from the instructor, and answers to questions. Class is conducted via email. BUY NOW: Ghostwriting Your Way to a Profitable Writing Business by Karen Cioffi (4 weeks, starting 5/6/2019). Limit: 10 students. Early registration is recommended.